Loss of voice, coughing, nasal discharge, tail bobbing with weakness and weight loss. A severe air sac mite infection can lead to the bird's death. 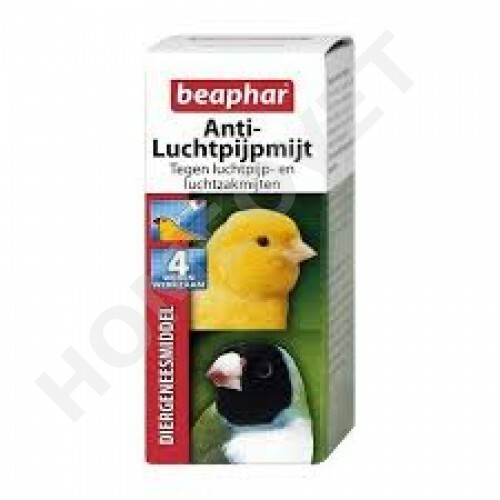 1 drop per bird (for larger birds parakeets and 2 drops per bird) Apply to the featherless skin around the neck om. It when you push the springs to the drop side and dan on the skin are easier.